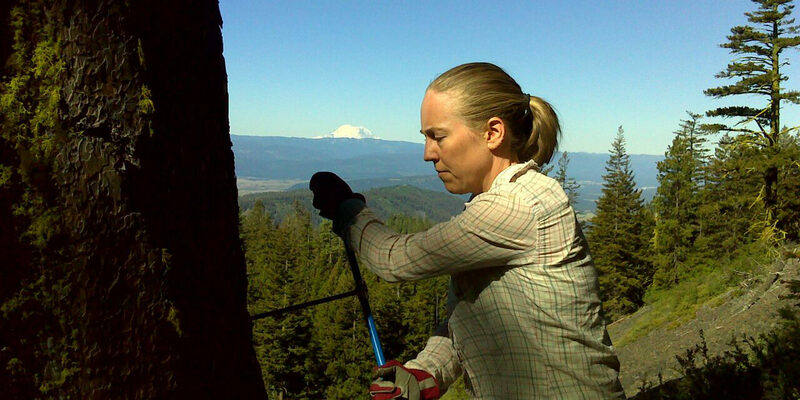 Dr. Erika Wise from the UNC Department of Geography studies the Earth’s climate by looking at tree rings and collects samples to determine how old trees are when droughts and fires may have occurred. This data allows her to recognize climate change patterns and predict future ones. Although tree rings have played a big part in understanding climate change from centuries ago, most researchers are motivated by a concern for what is happening recently in climate change and what could happen in the future. But in places where trees don’t exist, like in the ocean, there are other organisms that are recording the changes. Of course, it is easier to take a sample from a tree than glacier. In order to predict possible future climate change patterns, researchers must first understand what has happened in the past. In her research, Dr. Wise also studies big atmospheric events like El Nino.